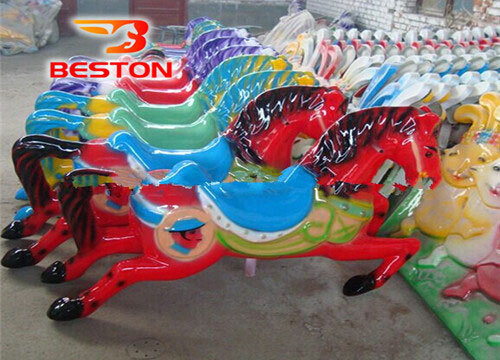 Amusement carousel as one of the most popular by kids and adults, there have many kind of horse mix , some sky and shouts , some crooningsubtle, some horse galloping , and some quiet, Looks like a painting, Each carousel horse is made of fiberglass reinforced plastics(FRP), equipped with gorgeous lighting, great music, Non-fading and durable painting. 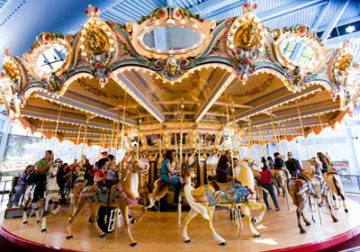 1.Carousel is divided into two styles (top-drive and under drive). 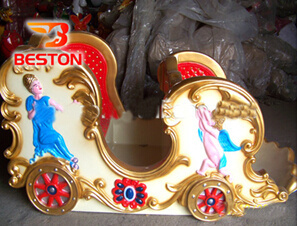 In the first, it is just under drive style, folding, made by four main parts, round track, base bottom, ceiling decoration , and horses or cars; as time goes on, it is improved into top-drive style, made by three main parts, round base bottom, ceiling decoration , and horses or cars or other rides. 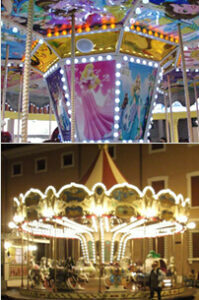 3.Colorful LED lights and funny music make this carousel more attractive. 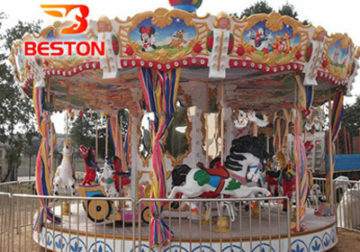 Music format support MP3, you can choose your favorite music through a USB disk; you can also control LED lights through” lighting button” which in the control box.6seat mini kids/children carousel rides. 4.Environmental automobile paint make the products looks more vivid and durable, fadeless. 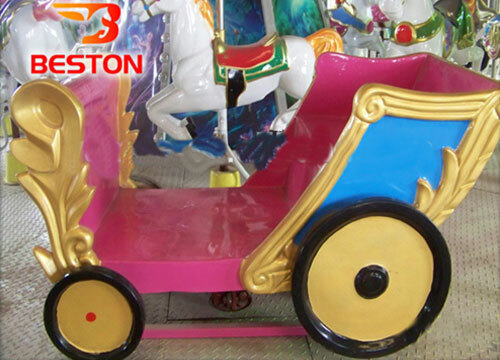 Our company provide carousel merry go round can be customized according customer’s request, whatever color or appearance design, so if you have any idea about your purchasing carousel merry go round, please let us know, we will discuss the possibility, and provide you the best products. We have strict quality control, start fro, the purchase of raw material. 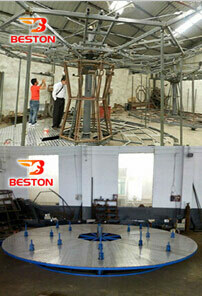 The steel sheet and tube are from leading manufactures. They have a higher performance: high strength, anti high temperature and high pressure, corrosion resisting and stand wear and tear. 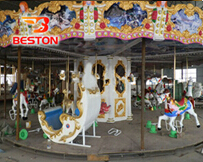 Owning the use of high-quality raw materials, the life of Beston’s carousel is longger than that of the industry average.We strive for providing you high qality products and let you assured on the safety and product longer service life. 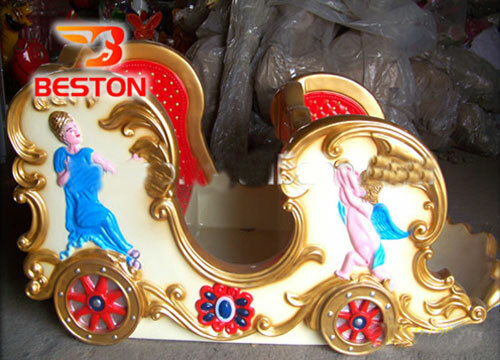 The FRP carriages part of the mini train are fully handwork made by skilled technicians. 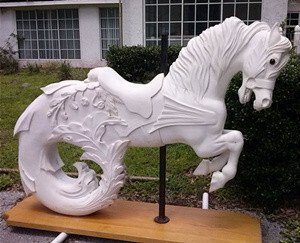 As for the painting, it will be firstly painted by a kind of antirust painting and the final colorful painting. The double painting makes the final finish archives the effect. Carousel is an equipment that combinate of music and lighting . 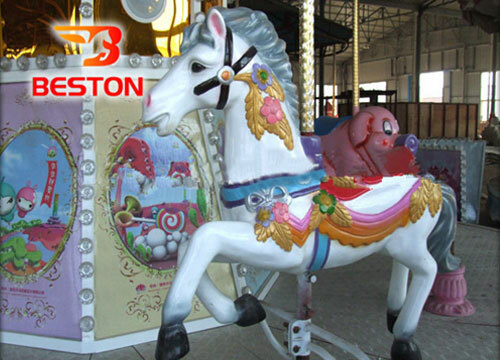 LED light on Beston’s carousel have very obvious characteristics: long life, high luminous efficiency, no radiation and low power consumption. 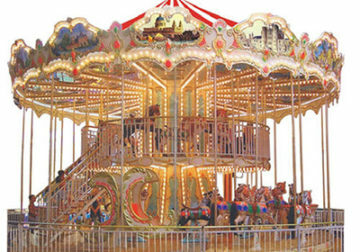 Enhanced seismic performance of luminous high purity, without shade filters.When night falls, the merry go round turns into a shining star, it shining lights attract both adults and children on the crowd. When finished the essential assembly, we will firstly test the machine to check if everything runs well or not. We always be concerned about the rider’s safety. 1. Products are exported to Russia, India, USA, Japan etc and are popular in the overseas, which enjoy good reputation. 2.Strict quality control with competitive price. 3.Attractive design and various style for your choice, also can design as the customer’s requipment. 4.Easy to set up, and supply the installation video. 5.Delivery on time, insist on reputation oriented. Perfect after-sale service.